Whether you like trading short or longer-term time frames, I got yo back with these hot forex trade opportunities on AUD/NZD and EUR/JPY. Get ’em while they’re hot! Remember that trend that we were lookin’ at yesterday? Well, here’s a chance for you to enter! AUD/NZD seems to be finding support at the 1.0900 psychological handle, which is right around the 100 and 200 SMAs on the 1-hour time frame. 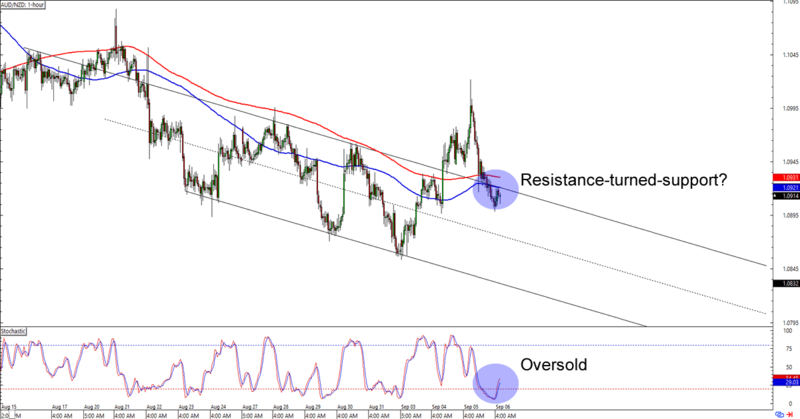 With stochastic just leaving oversold status, you can bet your pips that other bulls are already watching this one. You could place your long orders at the earliest signs of bullish momentum if you’re betting on Aussie strength over the next trading sessions. Of course, you could also wait for a break below this week’s lows and sell AUD/NZD if you’re convinced that the short-term downtrend will hold. Resistance alert! 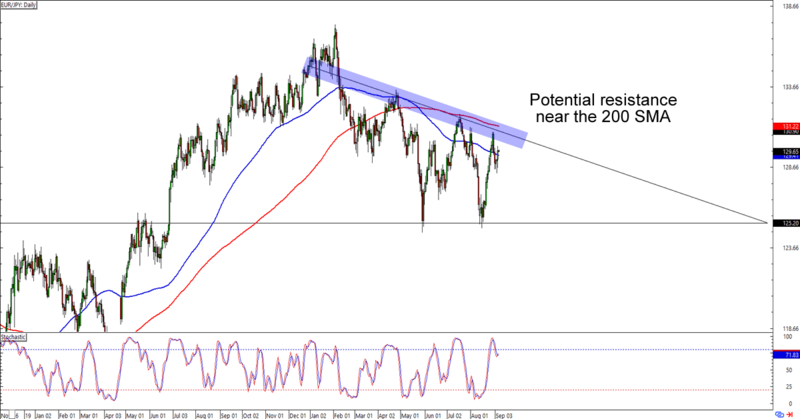 EUR/JPY looks like it’s headed for the 130.50 area, which lines up with a falling trend line and SMA resistance levels on the daily time frame. Think the bears will hold the fort for another day? The euro has a few pips to go yet before actually testing the level, so y’all still have time to whip up your trading plans and consider any and all scenarios to trade. Aiming for the 125.20 previous lows would give you a good reward-to-risk ratio though you’ll probably see crazy volatility before it hits that level. In fact, we could even see an upside breakout if the bulls have enough momentum on their side!